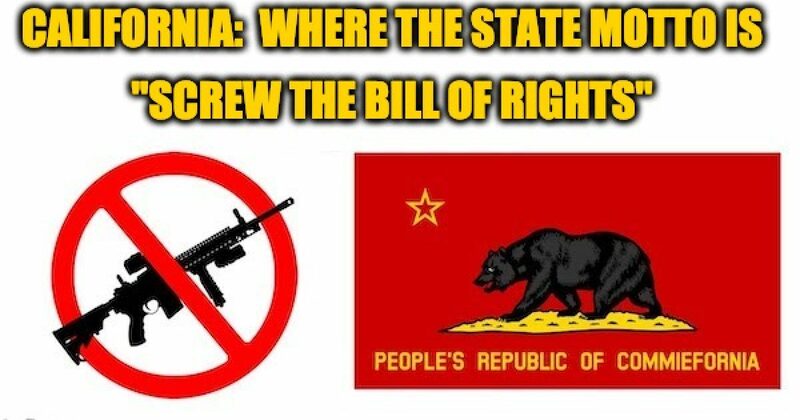 Why doesn’t California just go full on tyranny and stop pretending to be part of the United States? Their new Governor, Gavin Newsom, is poised to push through some of the gun control measures so extreme that former Governor, Jerry Brown vetoed. Model for the rest of the country? Are they talking about canceling the Bill of Rights? They’ve already proposed a requirement for gun owners to lock up their weapons, They’ve previously suggested a 10-year prohibition on firearm possession for anyone convicted of two drug or alcohol offenses within three years. They already have proposed a gun tax to fund violence prevention. It seems those things aren’t enough to add to their gun control basket. The kind of extreme gun control has failed California as it has failed across the United States. If it were successful, places like California would be safe from any kind of gun violence. We know that’s not true. And as usual, no one is explaining how any new oppressive anti-gun laws would prevent criminals from committing gun crimes while protecting the Second Amendment rights of law-abiding gun owners.